I actually really dig these, and think they may be along the lines of what you're looking for? Yeah. I Get Wet is the one to get. And it is fist-pumpingly amazing. After that the music wont to much matter. Oh, man. 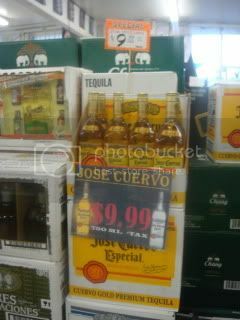 It's ridiculous how much I want to be in whatever place that is where a fifth of Cuervo is on sale for $9.99! The female singer on both tracks is Anneke van Giersbergen. She's amazing. These should get the party going!